Here are the answers to some of the questions you might have. If after reading this, you still have a burning questions, get in touch and ask away. 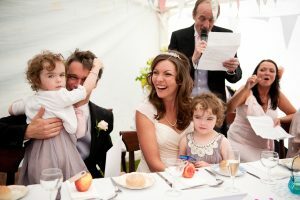 Q: So you are a documentary wedding photographer – does that mean you don’t take any formal photographs? A: What I do best is take natural, documentary-style shots of you and your guests enjoying the day. However, most couples also want some formal portrait pictures, including group shots. I’m more than happy to oblige – it’s your day after all! I’ll make sure that we minimise the time this takes, so that you can get back to the party. I keep it light and natural, so the shots never look cheesy or over-posed. Q: Do we get to meet you before the wedding? A: If that suits you, then I would love to. If we can’t meet, for whatever reason, then we’ll talk on the phone and work out exactly what you want and how I’ll make sure you get it. I like to understand your needs before the wedding and make sure that everything goes smoothly on the day. A: I’m based in North London. 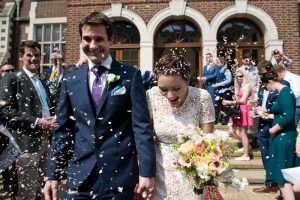 I cover weddings in the London area but am happy to travel further afield. A: I first secure your memories with several backups – on and off-site. I then review, select, and edit the best photos from your day. I dedicate a lot of time and care to bringing out the best features of the photos, including converting to black and white, correcting colours and tones, etc. When the photos are ready, I’ll send you a link to the online gallery and pop the USB stick in the post for you. A: Yes, I do. There are two options: a coffee table style wedding book or a classic wedding album. Take a look at the Albums page to find out more. A: Yes, definitely. Equipment, professional indemnity and public liability are all covered. Let me know if you or your venue would like to see a copy. Q: Are you full-time photographer? A: I am a photographer as well as a Mum of a pretty demanding 6 year-old. But yes, photography is my only paid profession. 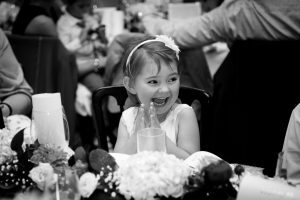 A: A deposit of £400 and a signed wedding photography agreement secures your date.